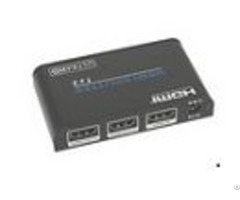 N401FG HD quad video multiplexer is a high-performance image processor, and it's main function is turn 4 BNC、VGA、HDMI input signal into 1 HD HDMI and VGA signal, which make 4 digital signal display in oneHD screen unit synchronously and HDMI signal with USB(like mouse、keyboard) can be switched synchronously. 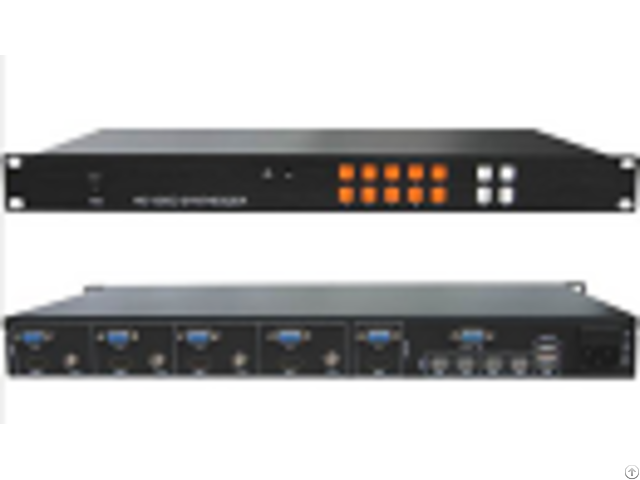 SN401FG HD video multiplexers support various kinds display unit with HDMI, such as:projector、LCD、DLP� ��plasma、full color LED. 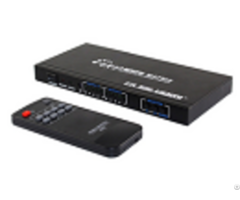 SN401FG HD video multiplexers is chief applied to video conference、teaching、d isplay and demonstration、stock ect, where need single display unit display multi HD signal synchronously, and it generally used in the market at present. Meanwhile, SN401FG video multiplexers is the only product that add USB synchronous switch, so when case or IRcontroller switch to fully display one signal, correspondingly, USB of computer host also synchronous switch.It meet the demand of video conference which need swith mouse and keyboard synchronously. Business Description: Suniin Technology is a professional and responsible manufacturer of video and audio products, such as HDMI Converter, HDMI Splitter, HDMI Switcher, HDMI Extender, HDMI Matrix, HDbaseT Extender, and Audio Converter, Audio Splitter etc. Search the internet using their website address, their business name, their phone and fax numbers, and their email addresses to see if you can find any feedback about them.